HP will announce a new fanless tablet, that will run Intel's Haswell processor, later this year. Speaking to Engadget, HP confirmed that it did indeed have a fanless tablet on stage at Computex 2013, although it was not shown to the public. The tablet will include one of Intel's recently launched Haswell processors and a full announcement is expected later this year. Could this mean that we'll see Intel's powerful core range of processors, working in an ultra slim HP tablet? With Intel's power efficient processor, we could see a new dawn in tablet battery life longevity. 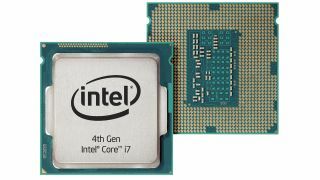 Responding to a downward trend in desktop PC sales, Intel has developed a range of processors that are power efficient and optimised for mobile computing. Including these processors into a fanless tablet requires some clever design, which most expected to be a few years away. We look forward to HP's announcement.